And what is that mystery vehicle at the 15-second mark? Tesla is facing all sorts of criticism lately, for missing its first quarter production targets for the Model 3 to concerns over its financial status. Despite the naysayers, the automaker is finding time to celebrate its achievements. In what Elon Musk calls a “quarterly all-hands video,” Tesla recaps its current operations in under 2 minutes. 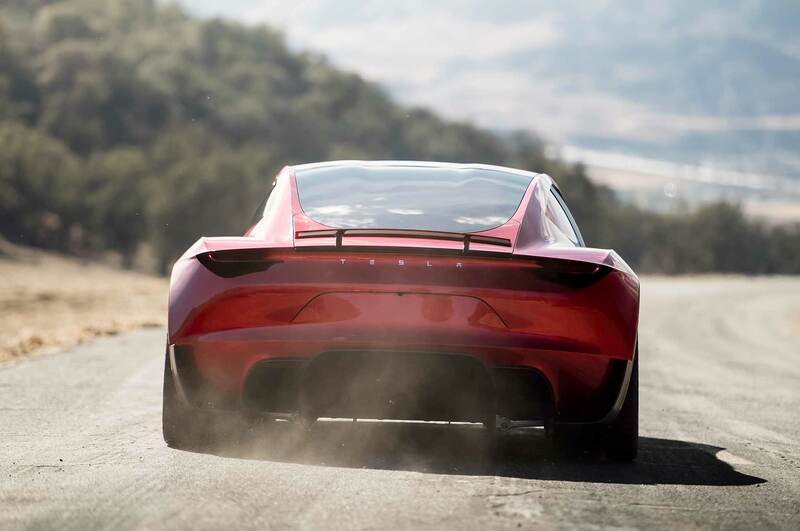 Just after the 1-minute mark, Tesla showcases the new Roadster. The video provides what could be our best view yet of the car’s simplistic interior, consisting of an oval-shaped steering wheel and large central touchscreen. 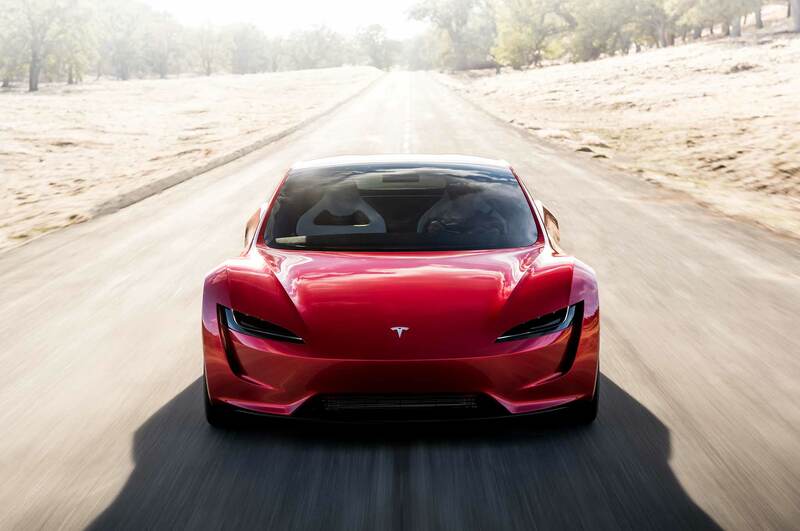 That screen, as we saw in a previous video, will display a colorful animation when the Roadster reaches full power and “goes to plaid.” Tesla claims the new Roadster will hit 60 mph in just 1.9 seconds when it arrives by 2020. Other highlights of the video include wild horses running near the Gigafactory in Nevada and a blacked-out Tesla Model 3 driving through what looks like a large empty parking garage. At the 15-second mark, Tesla shows a partially cloaked vehicle, and we’re wondering exactly what it is. Perhaps it’s the upcoming Model Y, which Musk said will likely enter production in early 2020. However, it’s a bit low to the ground, so it could be something else. 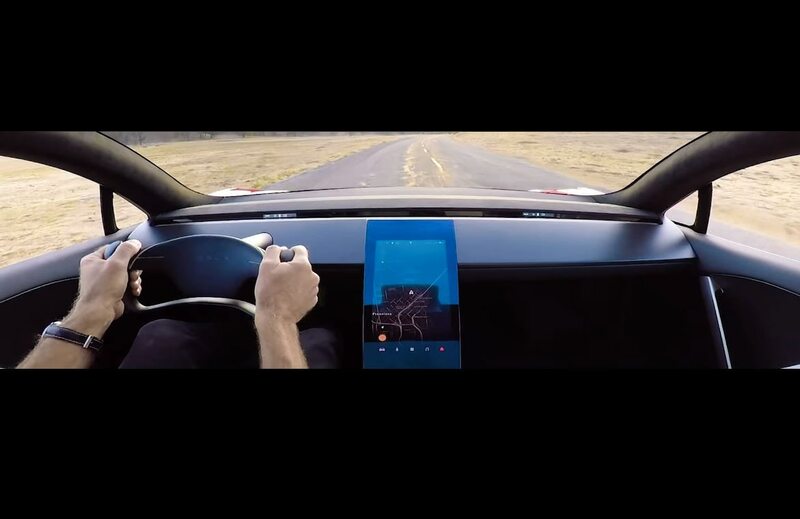 Watch the video below to see what Tesla has been up to so far this year.